Have you ever driven down the road and seen a house or building covered completely like a tent? This means that the location is being treated for pests, specifically woodborer and drywood termites. Service Master’s tented fumigation service is the perfect solution for those looking to get rid of all woodborer. 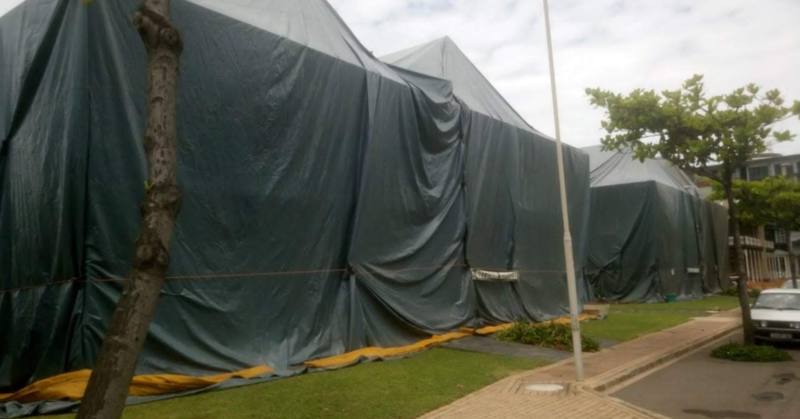 Sometimes known simply as just tented fumigation, our woodborer tented fumigation service refers to the process in which a structure (house, office building, block of flats, factory etc) is covered completely with a tarpaulin, sealed off and filled with gas. The highly effective fumigant penetrates the wood, allowing for the building to be entirely free of live woodborer. The gas used is powerful and allows for 100% eradication against all life stages inside the timber. Furthermore, it eradicates woodborer in the roof timbers, joinery, furniture as well as wooden floors and ceilings. Safety is very important to us and so our procedure ensures that there are no traces of the gas left once it is finished. Any items or plants that may react to the tented fumigation are removed beforehand and the electricity is turned off for its duration. The property is vacated for 48-72 hours and is absolutely safe to return to upon completion. Although preparations for tented fumigation can be extensive if the building is occupied, our professionals efficiently guide those involved through the process, making peace of mind a certainty. 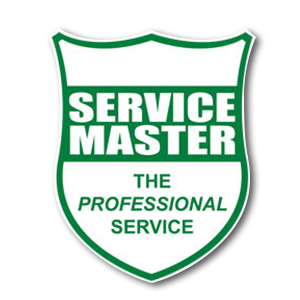 Service Master is able to take any location in need of tented fumigation from the preparation phase through to completion in a simple and straightforward fashion. We make sure to assess your property for its specific needs and deliver the service that will solve every pest control issue you have. Contact us today to request our tented fumigation service or to discuss any pest control need you may have.